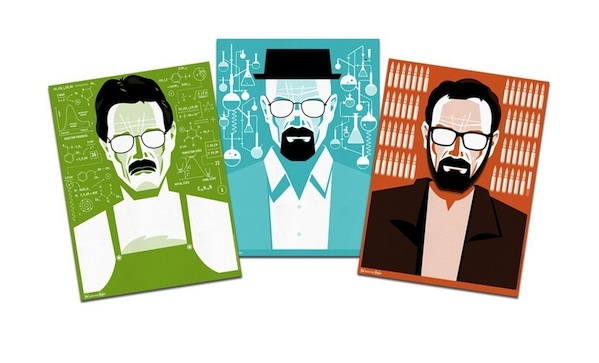 While you’re waiting for your Breaking Bad complete series, props bought at auction, and Lego playset, check out these prints of Walt ($55). First he’s a sad science teacher, then a meth kingpin, then a crazy desperado. Yep, that’s the entire series summed up in three posters.